Apps for Apple’s iOS devices have grown in size significantly in the last six months, according to the results of a survey released Tuesday. Of course, those with iPhones, iPads or iPod touches holding 64GB of storage won’t be particularly concerned at the news, but anyone with an 8GB or 16GB device will have already noticed it really isn’t much memory at all by today’s standards. The survey, conducted by ABI Research, showed that over the last six months the average app size has grown by 16 percent. Looking at specific genres, it’s the games category – the most popular category of all – where apps have really beefed up, with the average game app now standing at 60MB, an increase of 42 percent since March. ABI points to two main reasons in its report. First, Apple decided in March to up the limit for 3G/4G-downloadable apps from 20MB to 50MB which, as senior analyst Aapo Markkanen says in ABI’s report, “clearly had an unleashing effect on developers,” allowing them to develop more complex games with improved graphics. The other factor is linked to the new iPad’s Retina display, with developers launching new graphically rich apps, as well as pushing out updates for old apps to take advantage of the new high-resolution display. This must be a bit of a drag for owners of the first and second-generation iPads (without Retina displays), who have to take on the extra load without seeing any benefit. Owners of older devices like the 8GB iPhone 3G and iPhone 4 probably filled their handsets to bursting point long ago, but even those with more recent 16GB devices are likely having to be more careful about what they choose to download. As for Android apps in the Google Play store, the report said these have also seen a size increase in the last six months, in this case of 10 percent. Again, when you look at apps in the games category, the change really stands out, with Android apps almost quadrupling in size in the last six months to an average of just over 40MB. 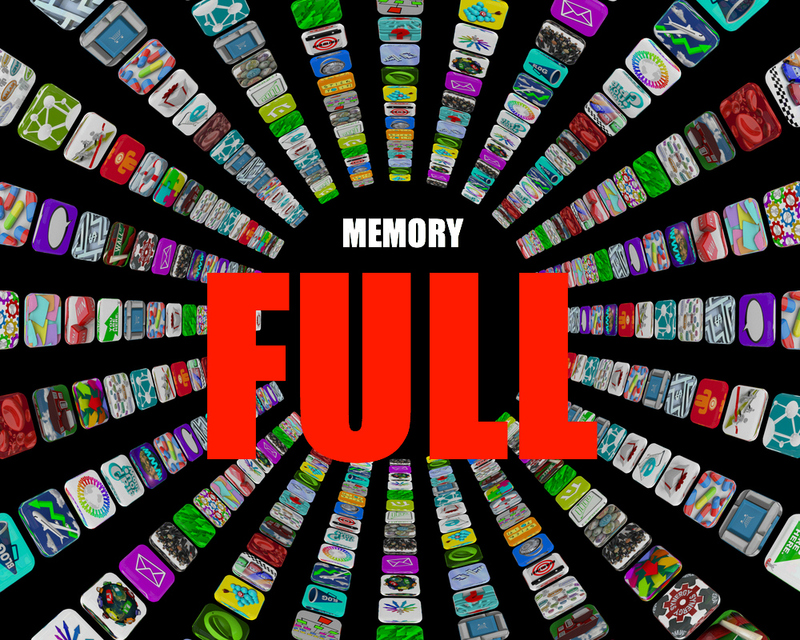 Are you finding the amount of available memory on your mobile device disappearing fast recently? Found a way of getting around it?